A gentle moisturising coat conditioner for dogs, cats, and horses. 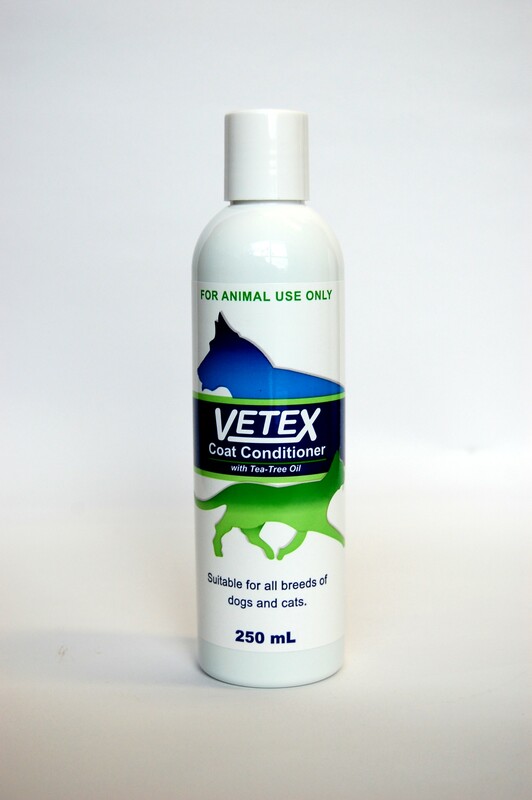 Apply to the coat after shampooing using Vetex Shampoo. Rub well into the coat evenly, and brush through long tangled hair. Leave on for one or two minutes for deep conditioning effect. Rinse with water.